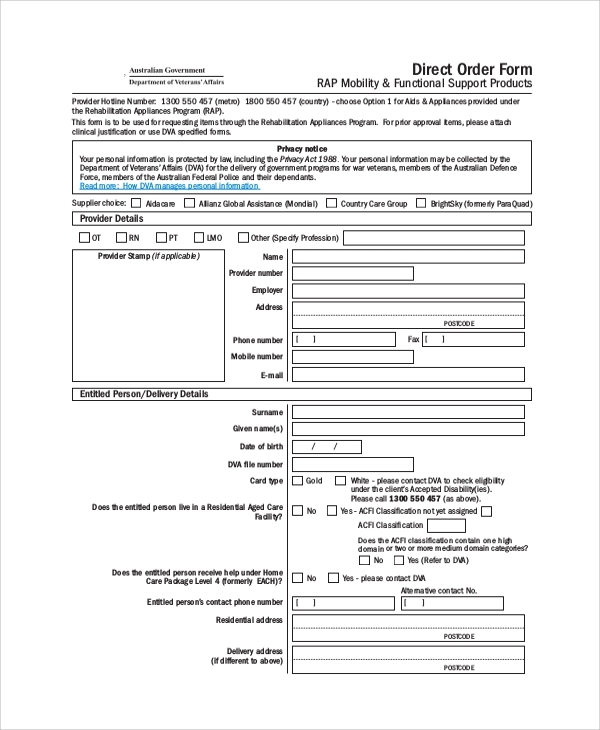 Standing order form is an example of order form design. 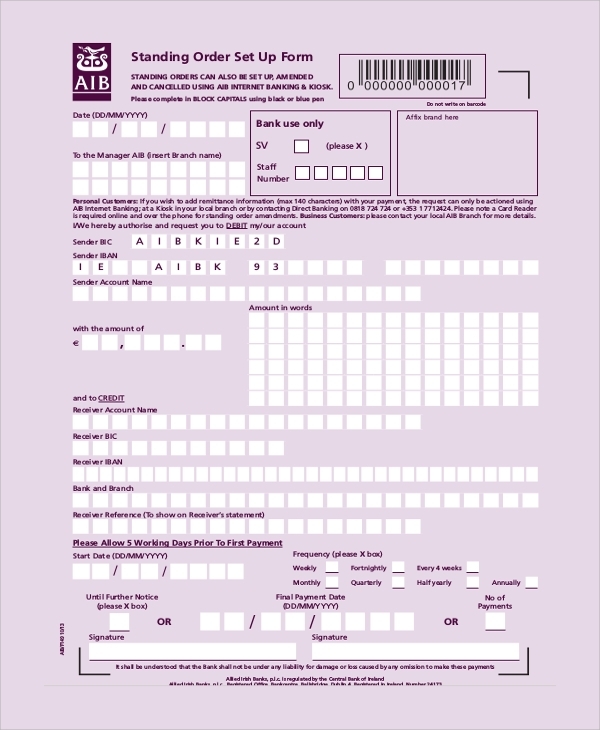 You can download and open PDF standing order form document to get the reference for creating standing order forms. Make unique, impressive, and official order forms using digital software. 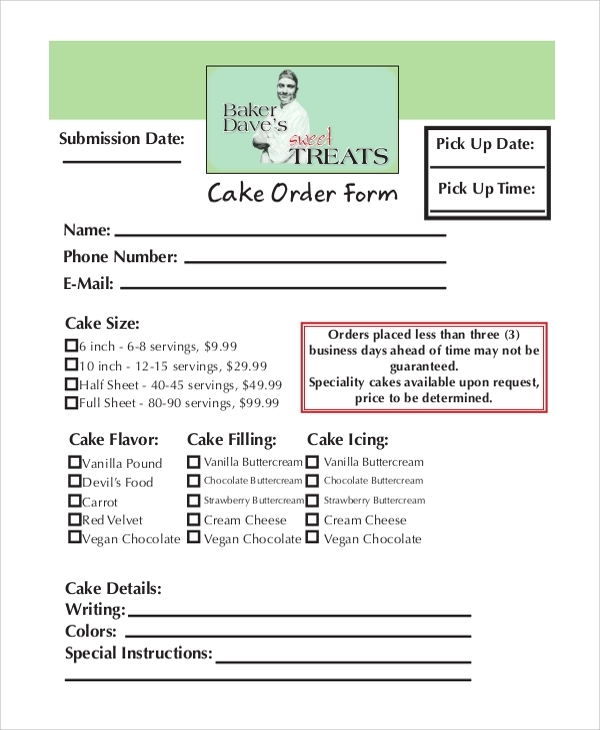 Design professional, simple, and attractive custom cake order forms by customizing cake order form template using digital software. You can add custom input fields; check boxes as per your needs. Collect detailed customer’s needs and requirements for offering best quality services. 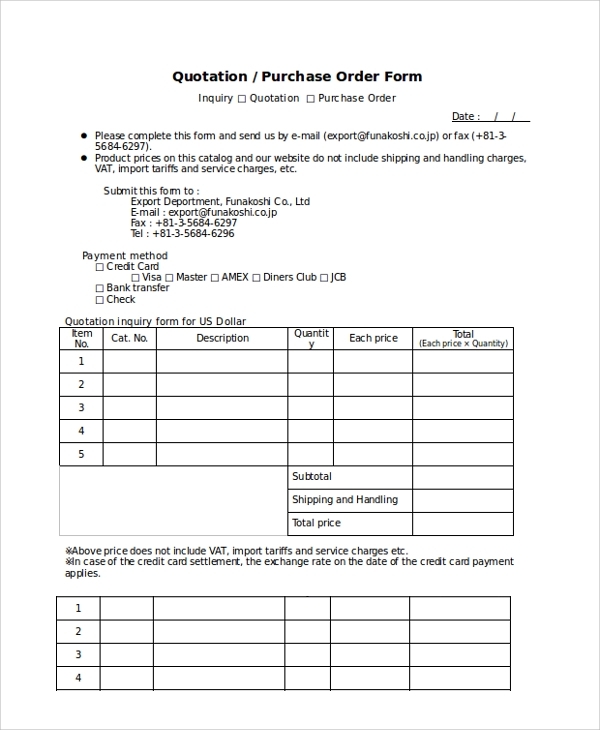 Purchase order template is an effective design for handling the orders list. Download the .zip file and open a PDF document. The PDF document offers on-page editing for input fields fill up. Add customer’s details, contract name, ID, quantity details, Units, product description etc and get instant print outs. 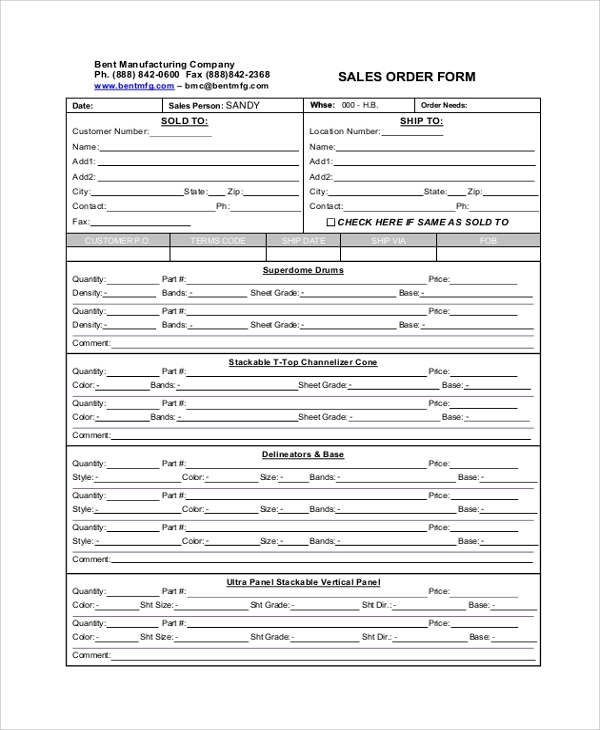 Sales order forms are the best papers to manage sales record and product shipping details. 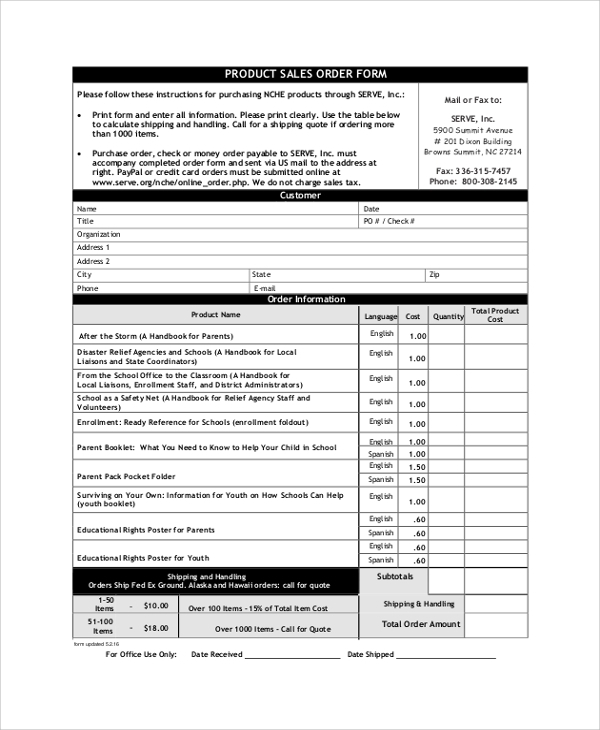 Download the template and use Sales Order Template for quick form fill up. Enter all input fields including customer’s details, shipping information, product/service details etc. Get the information printed on a paper using both laser and inkjet printers. This template supports on-page PDF form editing. 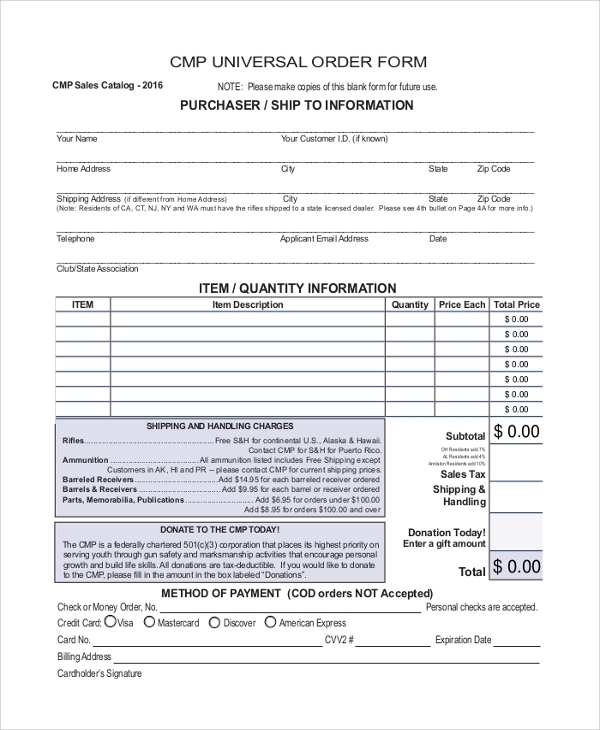 Our sample order form templates can be used by any organization/community for reference. It will clear your idea and help in creating best form templates. 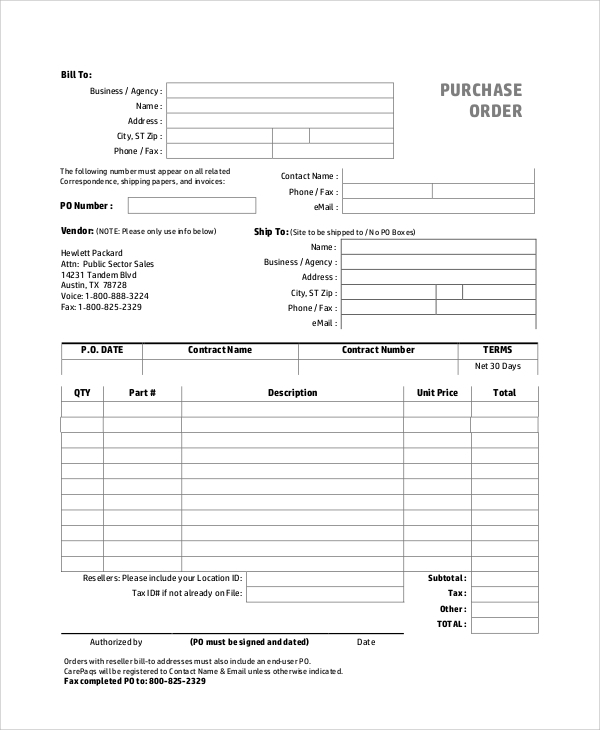 You can use order forms for your personal/company use. Also, please invest little more time and check our registration form samples for collecting customer’s details.